Well done Kanonen und Flakwagen from Trumpeter. EXACTLY like the one that appears in the movie "the Train". 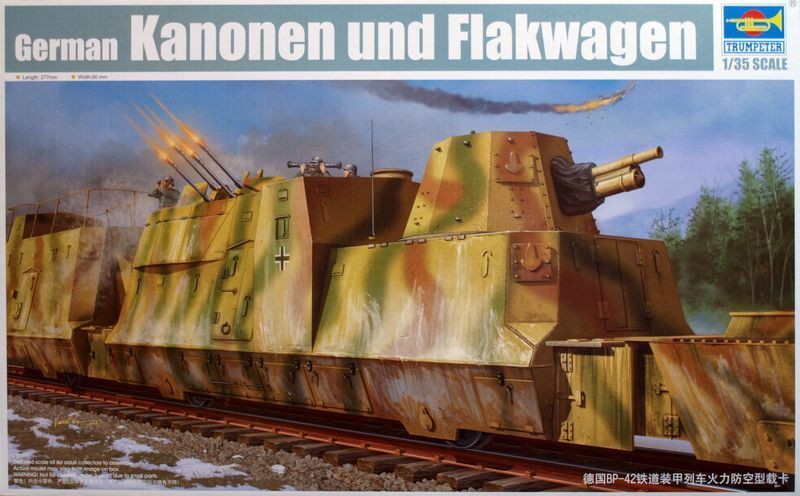 Und for da Field Kommandeur mit the slightly smaller budget: A FlakWagen dat still packs a lot of firepower! MISS-INTERRUPT! PRICELESS!!! Is that anything like "Miss-remember"..? You're RIGHT!!! I MISSED IT!!! (what did I miss...) The closer I look at that 2-8-2, the less I think that it's US-made... Looks kind of German, maybe French? OK, Mike- You WIN! What is that thing? I know! It's an ALIEN STEAM LOCOMOTIVE!!! Doesn't MINIART (or is it ICM) have a European Trolley in the works? I believe TESTORS/HAWK made an "O" scale-1/48 "San Francisco" trolley at one time back in the 1960s? How's that for "off-track"? Didja get that, huh? Didja-Didja? Huh-Huh??? I know I said Mirror Models but it might have been MINIART that are doing the European Trolley. I saw it announced somewhere here on Armorama but now I cannot find it. Here is a link to a great recounting of the story of "Anzio Anne" aka Leopold. I had no idea how the Germans went about hiding the guns and the decoys they built and finally how one came to be at the APG. 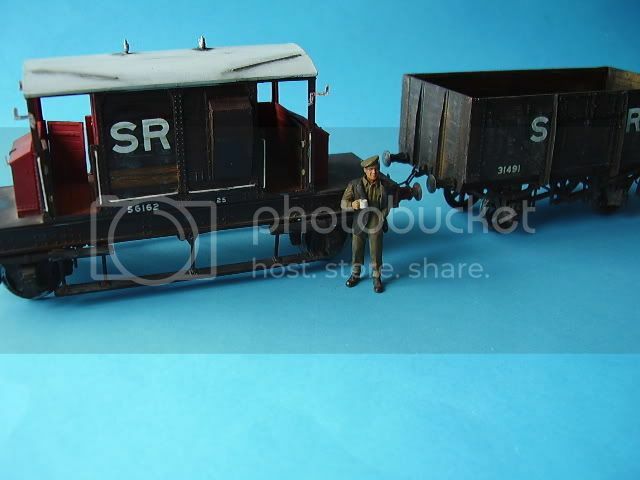 Considering Britain's role in developing the railways, I would like to see some pre war British rolling stock and a suitable shunting locomotive in 1/35 scale. 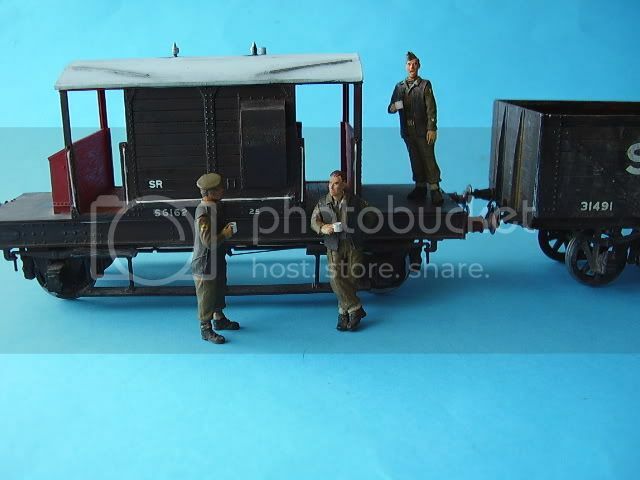 What would also be excellent in 1/35 scale would be a WW1 WDLR tractor like the MR 20hp and 40 hp tractors, plus a few carriage types as well. I built a couple of Southern Railway wagons in O scale that might at a push pass muster. 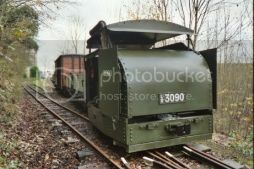 This shunter was used on military railways in WW1 and later in WW2 on the Maginot Line. Thanks for that. Folks, If your checking out U Models folks you might want to visit Blast Models too. I haven't communicated with Rodolfo for some time but judging by the Blast site there is a partnership of sorts on some of the kits and you'll see a much greater choice of items. That's probably just the shell and you must install in on a train chassis... right? That looks great! I'll have to think about it. Oh, that's nice too but I was asking about the U Models kit. I want to do some train stuff next year and that one I cannot get of my mind. Oh, I see Frenchy has once again come to the rescue with a photo and a link! PS : I stand corrected on the T75 : it wasn't used in WW1. It was built at the end of the 30's. Thanks guys! I have some thinking to do. Thanks for the links HP. Pity about the scale difference (1/32). I'll have to look at the U models offering more closely. We've been reading this thread with interest, so it's time for a market query. We'd be more than happy to produce an S-160 in 1/35 scale. It would be a resin and photoetch kit. The length of an S-160, with tender, is about 21.25" in length, and that would make the kit comparable to our line of cruisers. The price would therefore be in the $275-$350 range. So, the question is, would there be demand for a kit considering what the price would be? Thanks for replying. Commander Models has an impressive catalog. Guys, check it out! OK folks, we need some feed back to Commander Models. I would certainly consider it. Would prefer plastic but would have to consider getting a S-160 any way that I could! Great World War 1 posts. I am doing research on a small WWI monorail to possibly construct a dio. 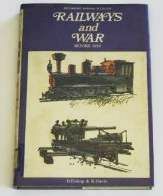 I highly recommend a little book entitled "Railways and War Before 1918" Amizon has it for just a few bucks. 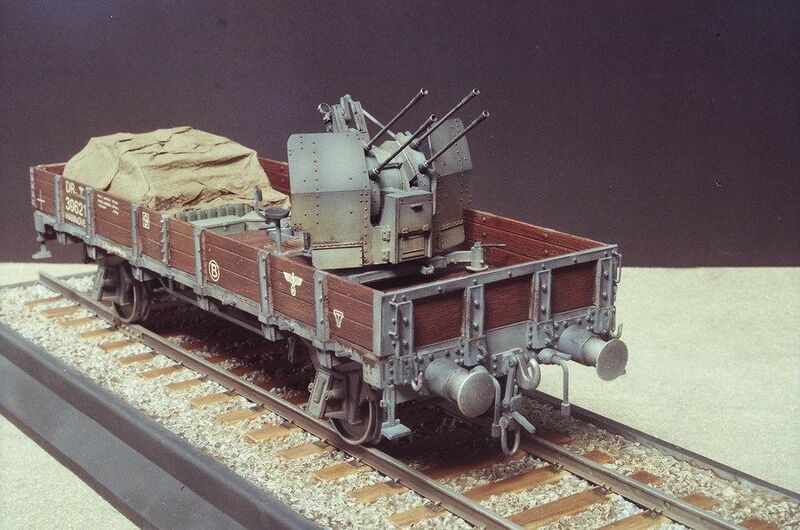 GREAT drawings of popular WWI railway equipment, Mostly 2 foot gauge stuff but I will remind everyone HO gauge track scales out very close to 2 foot gauge in 1/35th scale. 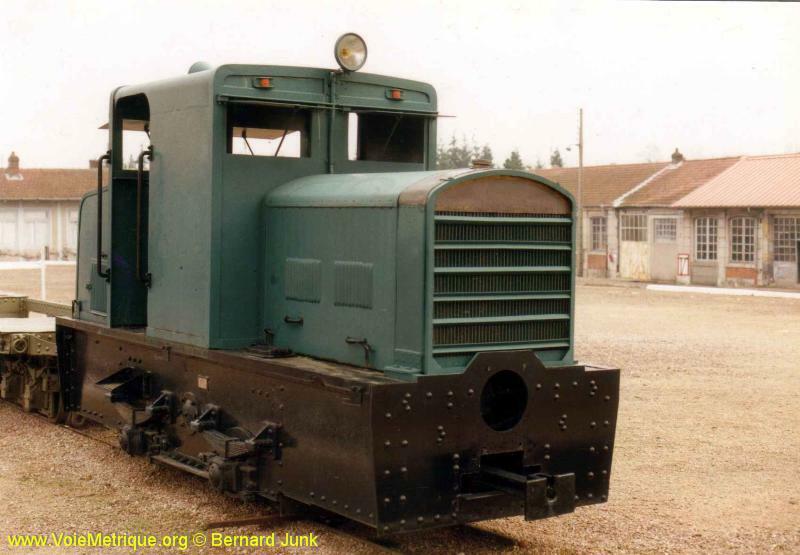 Note leaf springs over each driving axle and equalizer linkage connecting all springs including the front pony wheels to insure all axles carry the locomotive weight equally. 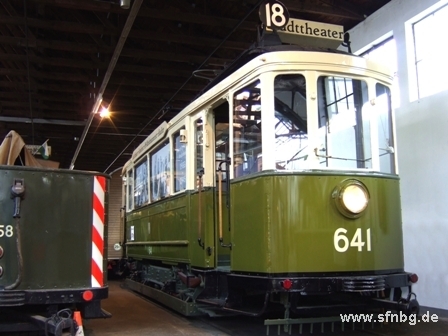 S-160 somewhere in Europe - its' smokebox front has been removed probably to work on leaky front flues. 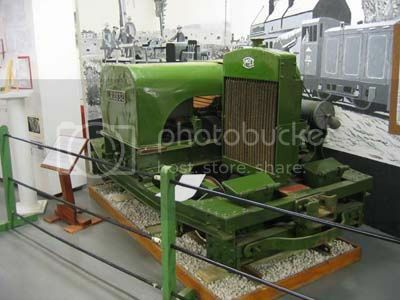 No, that is a very similar British locomotive built after the war to help rebuild the European Railways. 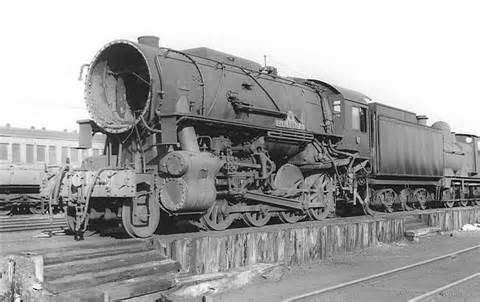 It was based on a British WW2 2-8-0 used by the War Department which was similar to the S-160. 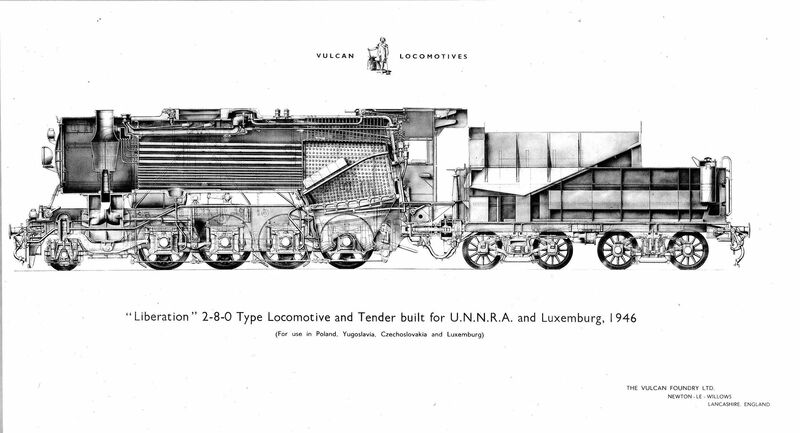 Note, there were TWO companies called Vulcan building locomotives at the time, Vulcan Foundry in England and Vulcan Iron Works in the USA.